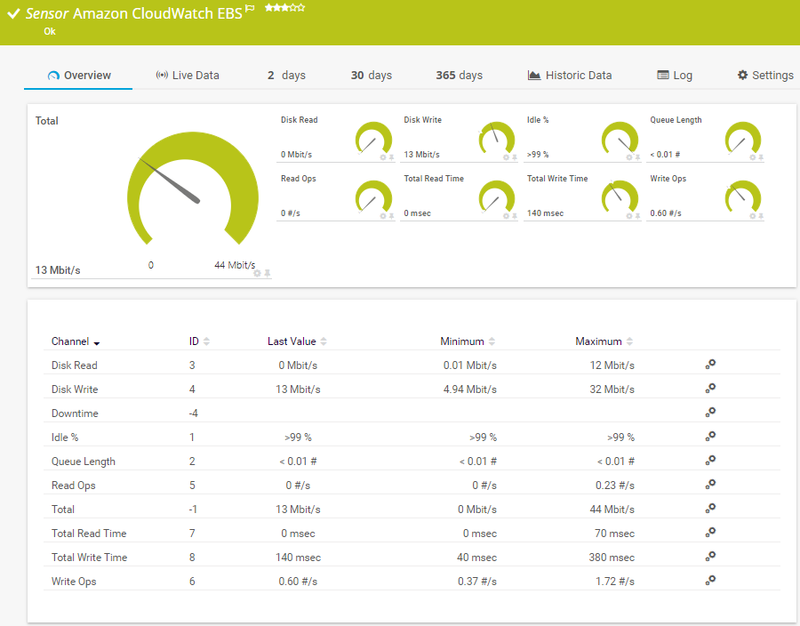 The Amazon CloudWatch EBS sensor monitors the performance of the Amazon Cloud service Elastic Block Store (EBS). Select the Volume you want to add a sensor for. You see a list with the names of all items which are available to monitor. Select the desired items by adding check marks in front of the respective lines. PRTG creates one sensor for each selection. You can also select and deselect all items by using the check box in the table head.